Other than needing to try a salad once in a while, Stacey Abrams brought nothing to the table other than Trump hatred and the same old tired Democrat platitudes sprinkled with a healthy dose of socialism. 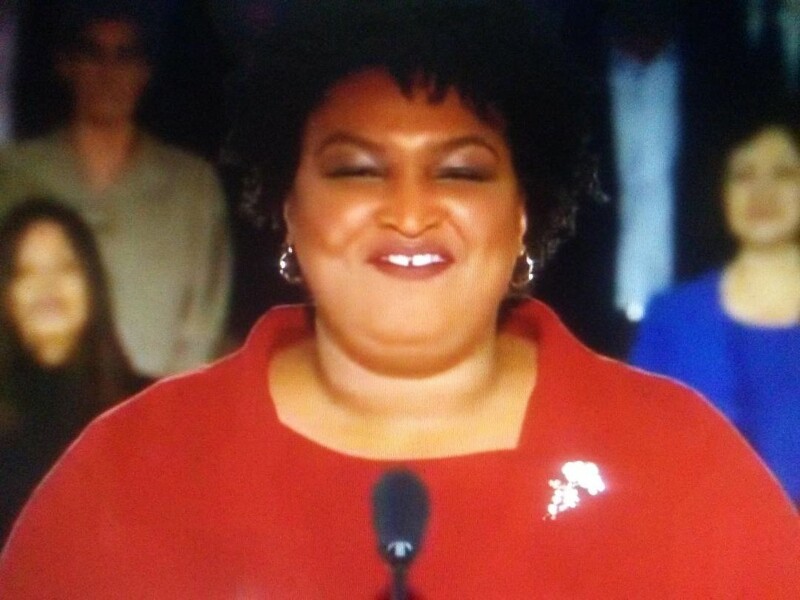 "Other than needing to try a salad once in a while, Stacey Abrams brought nothing to the table other than Trump hatred and the same old tired Democrat platitudes sprinkled with a healthy dose of socialism." That is the best description I have read about the Dim response to the SOTU. CHANGE: Illinois County Board Passes Ballot Measure For New State. Related: Splitsylvania: Stat… - CHANGE: Illinois County Board Passes Ballot Measure For New State. Related: Splitsylvania: State Secession and What to Do About It. Report: Biden Hires Obama Advisors, May Announce 2020 Presidential Bid Next Week - It's happening. Friday Musical Interlude - The Chain (live) - Fleetwood Mac live in Japan, 1977.